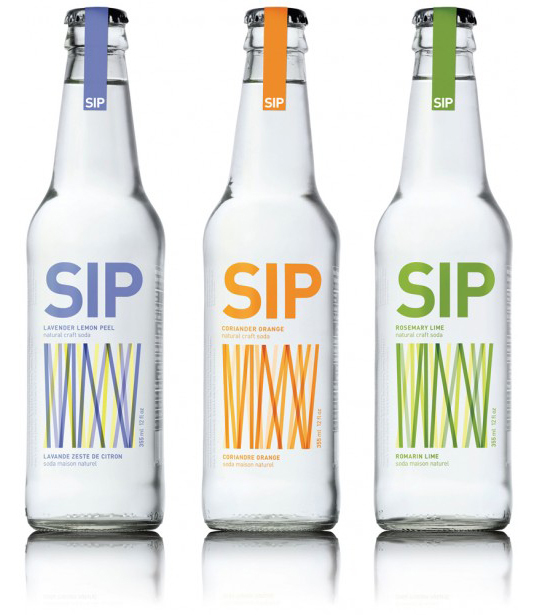 “Sip Soda Co. is a local Vancouver brewing company offering all-natural gourmet sodas— a fresh and low-sugar alternative that appeals to foodies and socialites alike. “Chronicle is a modern high-end Gin, made to entice young entrepreneurs. 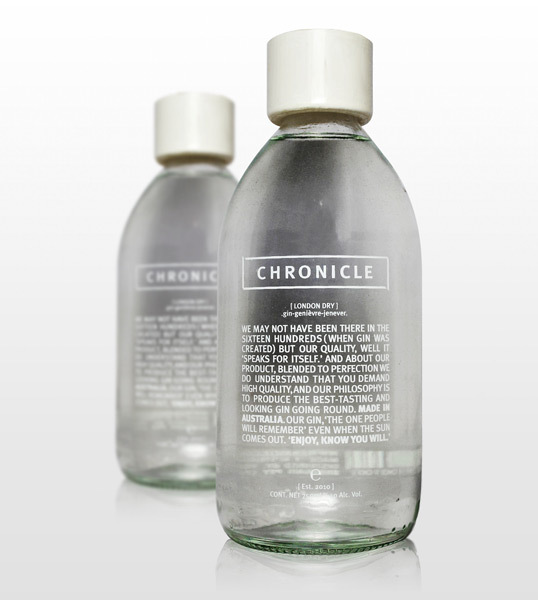 Chronicle is aimed at a male market, 25-40 with an eye for simple yet classic design and fashion. “For the 8th year in a row, BVD presents the annual Blossa Glögg for 2010. This year’s flavor is saffron and the bottle’s color is gold. Gold is an iconic color that reflects the festive nature of Christmas as well as the taste: saffron with it’s golden color is one of the most exclusive of all the spices. The Roman X is used as a symbol for the number 10, but is also a hint at the English X-mas. A vintage mulled wine for a new decade is a reason to celebrate. We wanted to create a really festive bottle, and the Roman X felt like a worthy symbol the decade’s first annual edition,” says Susanna Nygren Barrett, Creative Director at BVD. 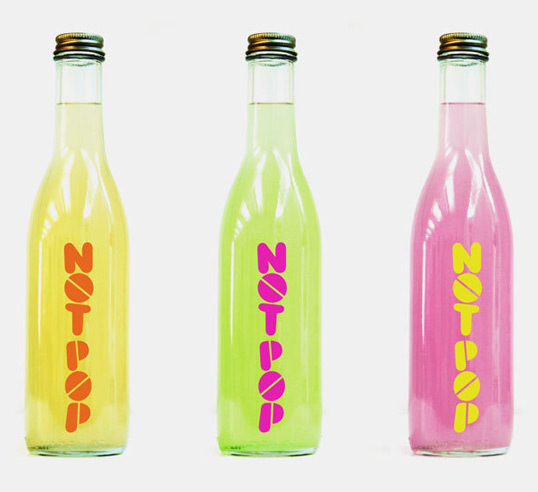 “Sweden’s first vodka in PET bottle. 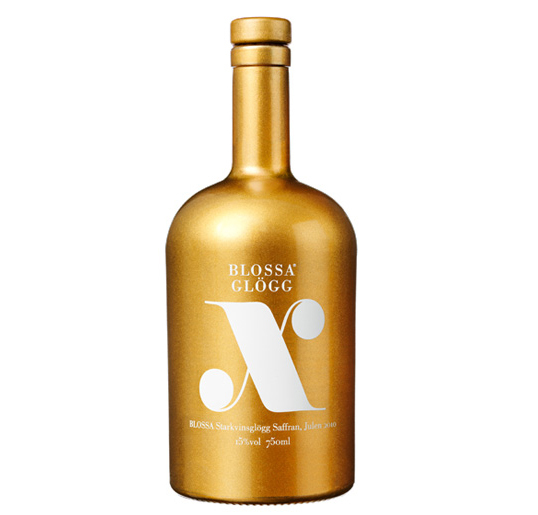 It’s also one of the first vodka made of organically grown, Swedish barley. 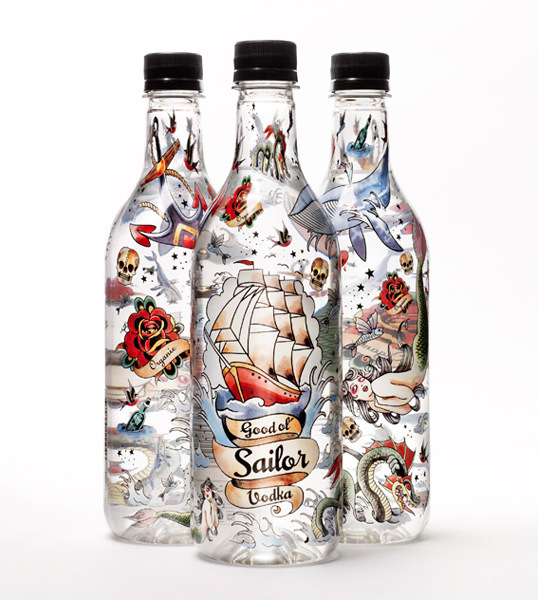 The new Swedish eco-vodka is distilled four times and has a clean, fruity nose with some spicy aftertaste and released in a Swedish-made PET packaging for minimal environmental impact. We have worked closely with Technologists at Petainer. 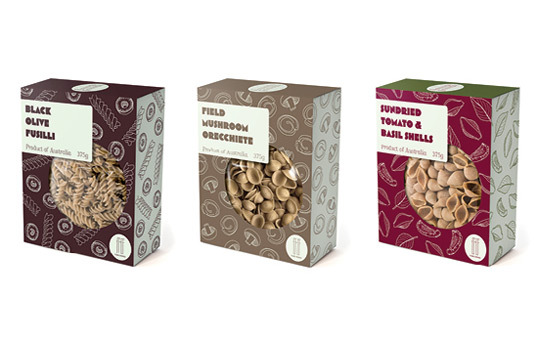 Together we have produced a container which is environmentally friendly, has high levels of clarity and great shelf appeal, whilst at the same time is easy to manufacture in high volumes. 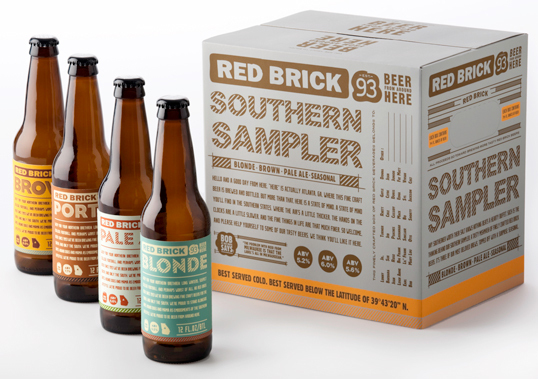 Aimed at the Southern US market, this locally made beer features humourous, copy-intensive packaging and uses four striking colourways to differentiate flavours. “It wouldn’t be a stretch to claim that birds are somewhat over represented on wine labels. 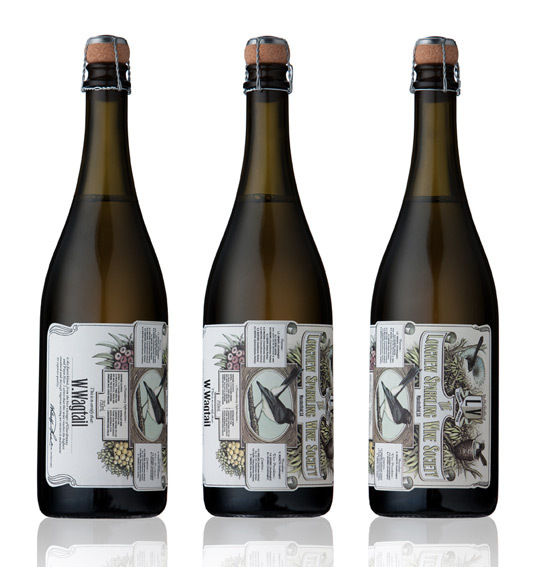 When Voice was given the task of designing the packaging for Longview Vineyard’s sparkling wine, W.Wagtail, they recognised the importance of creating something that really stood out from the existing flock of bird themed labels. Drawing on the audacious personality of the wine’s namesake, the Willy Wagtail, Voice modelled the label on the styling of bird watchers membership certificate from the 1940s. The ornithological subject matter was an opportunity not only to feature the local birdlife but also to feature the flora that exists around the vineyard, which hinted at the fruity and colourful flavours of the wine. This conceptual light bulb packaging requires no ink and no glue. 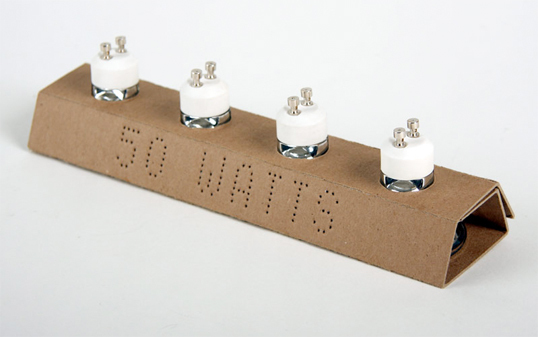 The wattage number is punched out of the cardboard, which wraps around the bulb to protect the glass.